Botox®, which is made from the botulinum toxin, has been used for over 20 years to smooth wrinkles and alter facial aesthetics. At Osorio Dental Group we offer Botox® as an aesthetic treatment for wrinkles and as a muscle relaxer in certain dental cases. At Osorio Dental Group, we work hands-on with patients suffering from bruxism, the grinding and clenching of teeth, and patients with TMJ. Botox® is a service used in these dental cases to help relieve muscle tension. If you suffer from pain related to TMJ, grinding, clenching your teeth, or a qualifying dental procedure, then Botox® treatment might be right for you. 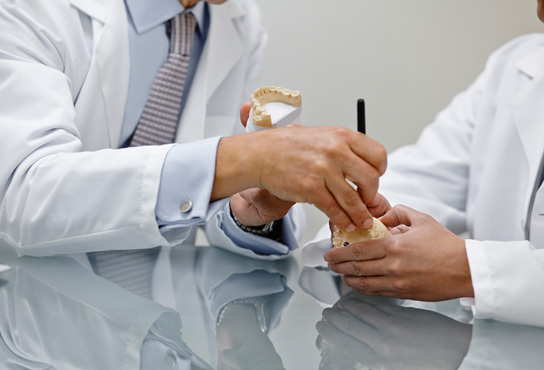 We also understand that creating the perfect smile, means creating the perfect aesthetic look. Botox® can help complete the appearance and look that you desire. Our dentists are trained in administering Botox® injections and will inject Botox® into your facial muscles to relax them. When muscles are injected with Botox they can no longer contract, which makes wrinkles soften and relax. Schedule an appointment with us to discuss your needs and find out if Botox® injections could be right for you.